Dr. Suchitra Krishnan-Sarin is a Professor of Psychiatry at the Yale School of Medicine. Her research is focused on understanding substance-use behaviors in adult and adolescent substance users, with the goal of developing optimal prevention and cessation interventions. 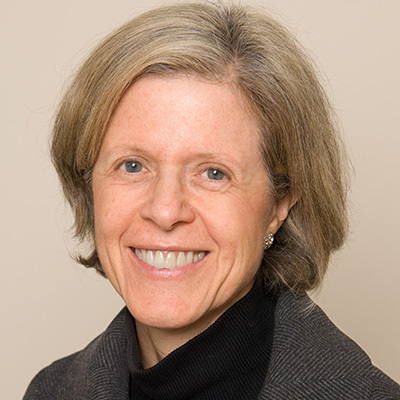 Her qualitative research includes focus groups and surveys to understand patterns and perceptions of use of tobacco products, clinical trials to develop and test the use of novel cessation and prevention interventions, and experimental evaluations of behavioral and neural predictors of use and cessation behaviors. Dr. Krishnan-Sarin contributed to the Surgeon General’s report on “Preventing Tobacco Use among Young People” and serves as a member of the FDA’s Tobacco Product Scientific Advisory Committee. As Co-Principal-Investigator at the Yale Tobacco Centers of Regulatory Science, she is also studying the role of flavors in tobacco and nicotine addiction. Dr. Rigotti is a Professor of Medicine at Harvard Medical School and the founder and director of Massachusetts General Hospital’s Tobacco Research and Treatment Center. A board-certified general internist, Dr. Rigotti is internationally known for her research to reduce the health burden of tobacco use by evaluating tobacco cessation treatments and promoting their adoption in health-care settings. Dr. Rigotti was a member of the National Academies of Science, Engineering, and Medicine panel that produced the landmark 2018 report, Public Health Consequences of E-Cigarettes. She is now studying in the role of e-cigarettes for tobacco smoking cessation and harm reduction. Dr. Rigotti has served as President of the Society for Research in Nicotine and Tobacco and as President of the Society of General Internal Medicine. Dr. Barrington-Trimis is an epidemiologist and Assistant Professor of Preventive Medicine at the University of Southern California, Director of the Epidemiology of Substance Use Research Group, and faculty member in the USC Health, Emotion, and Addiction Laboratory, the USC Institute for Addiction Science, the USC Institute for Health Promotion and Disease Prevention Research, and the USC Norris Comprehensive Cancer Center. Dr. Barrington-Trimis' research focuses on investigation of the rapidly changing tobacco, alternative tobacco, and cannabis landscape. Her work aims to identify intra-individual psychological, behavioral, and social processes associated with nicotine and cannabis product use in adolescence and early adulthood, and to elucidate the behavioral consequences (e.g., transition to more harmful patterns of substance use) and physiological consequences (e.g., adverse respiratory health effects of e-cigarette use) of varying patterns of cannabis and nicotine product use in adolescence. The FDA recently reported that more than 20 percent of high-school-aged children used e-cigarettes, or “vaped”, in 2018 – a nearly 80% increase from the previous year – and recent studies estimate that more than 10 million U.S. adults regularly vape. As the popularity of e-cigarettes soars, the lack of regulatory standards, dearth of science, and aggressive industry-led marketing campaigns have raised concerns about the potential health risks of vaping and questions about whether it is a safer alternative to traditional smoking. SciLine’s media briefing will cover what scientists know about the health effects of e-cigarettes, their efficacy as a smoking-cessation aide, and emerging research on the links between vaping and addiction. This briefing will be web-based and accessible via telephone or computer, so you can attend and ask questions from wherever you are.